Primary School children to put Road Safety first, in annual Road Safety Art competition. 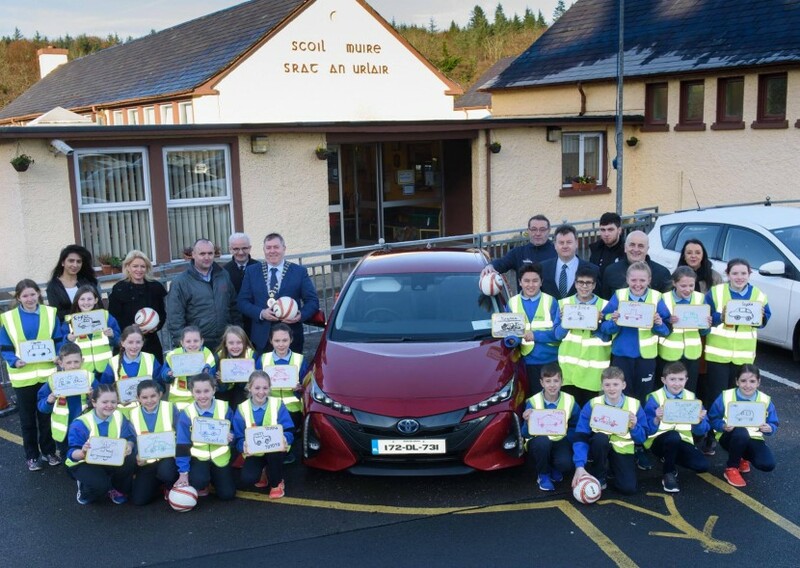 The Donegal Road Safety Working Group and the Kelly’s Toyota Finn Harps Schools Programme have again joined forces to assist in the promotion of Road Safety in Donegal. Finn Harps FC have offered the Donegal Road Safety Working Group a free advertising hoarding in Finn Park for the new season and continue the Club’s ongoing commitment to road safety. Finn Harps will play their first home game against Longford Town at Finn Park on Friday 2nd March and the winners of the Art competition will be announced at this game. Finn Harps Football in the Community Officer and Secretary of Kelly’s Toyota Finn Harps Schools Programme, John Campbell, stated, “The Kelly’s Toyota Finn Harps School’s Programme is once again delighted to be partners with the Donegal Road Safety Working Group on this very important Road Safety initiative. We continue to work with school children on a daily basis and this Competition presents a great opportunity to promote Road Safety in Donegal. I would also like to acknowledge the assistance of the DLDC who sponsor places for the Schools through their programmes”. Entries must be original and the applicant’s own work and should be on paper no larger than A3 size. Details are currently being sent to all primary schools in the county and information on the competition can be obtained from Brian O’Donnell, Donegal County Council on 074 9172360 or John Campbell, Finn Harps on 087 3872973. The closing date for the competition is Friday 2nd February 2018 and entries should be sent through the school to: The Road Safety Art Competition, Road Design Office, Donegal County Council, Lifford, Co. Donegal. Special thank you to Cllr. Gerry McMonagle, Seamus Neely, County Mayor, Brian O’Donnell, Donegal Road Safety Officer with Donegal County Council, Principal & Teachers at St. Mary’s NS Stranorlar, Clive Wasson, Brendan Kelly, Kellys Toyota, John Campbell, Finn Harps, The Pupils of St. Mary’s NS, Stranorlar, Grace Ann McGarvey, Marketing & PR Consultant, Bradas O’Donnell, Wild Atlantic TV, Iram Iftikhar, Schools Programme Coach, Mikey Grant, Schools Programme Coach.